Persons not in the labor force who want and are available for work, and who have looked for a job sometime in the prior 12 months (or since the end of their last job if they held one within the past 12 months), but were not counted as unemployed because they had not searched for work in the 4 weeks preceding the survey. 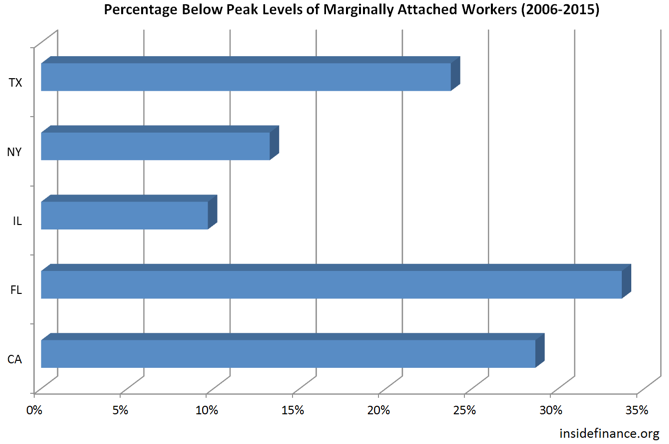 Discouraged workers are a subset of the marginally attached. Persons not in the labor force who want and are available for a job and who have looked for work sometime in the past 12 months (or since the end of their last job if they held one within the past 12 months), but who are not currently looking because they believe there are no jobs available or there are none for which they would qualify. 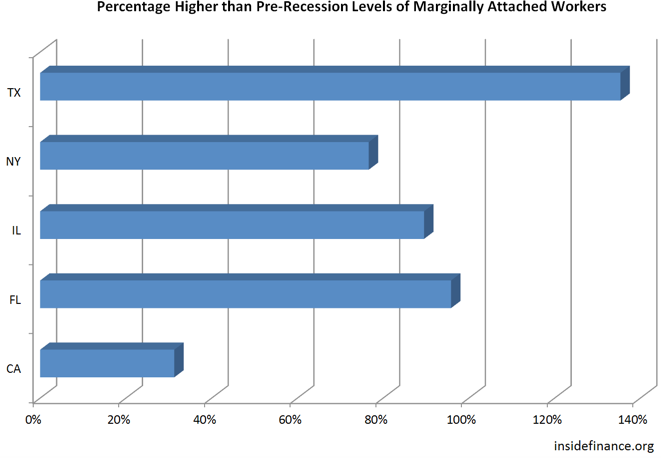 For the purpose of illustration, the FRED graph below has the top five states selected (which accounts for more than a third of the nation’s population), showing the trend of marginally attached workers for more than a decade. If you think the history of the silicon chip is a cure for insomnia, think again. Two quotes (or as close as I can remember) say it all, the first, regarding breakthroughs. “Breakthroughs historically do not just happen. They are a product of when the time is right, and the time has come for such a thing.” So on the one hand, we can strive for excellence and push for a culture of creativity and this will certainly produce positive results. But especially in the case of a radical and essential breakthrough, one that we would look back on as disruptive to a system, technology, culture or business, the convergence of events is just as important as the components driving the change. Led by physicist Robert Noyce, Fairchild Semiconductor began as a start-up company whose radical innovations would help make the United States a leader in both space exploration and the personal computer revolution, changing the way the world works, plays, and communicates. Noyce’s invention of the microchip ultimately re-shaped the future, launching the world into the Information Age. The next quote, regarding timing and demand as they relate to the brilliance behind groundbreaking change. “Brilliant people exist all the time. It’s matching up a brilliant person in the right place, at the right time when people want what that brilliant person has to offer.” We can push and push for change or a breakthrough idea, but ultimately, the timing of that change must correspond with demand in order to harness the brilliance that will fuel the progress. Right now the overall job market is an undeniable difficulty for us as a country. Thinking about this reminds me of a few things from some years back. The above quote causes me to reflect on a few difficult times and painful past lessons – experiences which are now filtered with hindsight (and the advantage of 20/20 vision as it were). But I am thankful for the experience of many of these difficulties, though some have taken years to get to that point. After one painful business experience in particular, I was encouraged by a friend (at a different stage in life and much more experienced than I) to journal out what I had learned. I remember that at that time, I didn’t want to hear of it, and I certainly didn’t want to talk about it, even alone within the very safe pages of a journal. All I could think about was the frustration I was experiencing from my own decisions, some of them hasty. But learning is an ongoing, dynamic process. Sometimes, I believe, we don’t feel quite ready to learn from what we are presently going through. Which is part of the reason I am determined to learn from decades past, because our current problems span way beyond few years of misguided choices. I am optimistic too, because I think for many, there is an honest inquiry into present difficulties, and why past approaches may no longer be relevant. Ultimately, I want to be a better learner, and a better practitioner of that knowledge and experience. In honor of IBM’s conference call, I wanted to revisit the topic of the provenance of the nickname, Big Blue. I like urban legends not because they are believable, but because of what they say about human nature and sociology. Urban legends are also amusing not necessarily to believe, but they are fun to engage in (as if to believe) the idea of them being true, such as us humans ingesting eight spiders per year in our sleep. 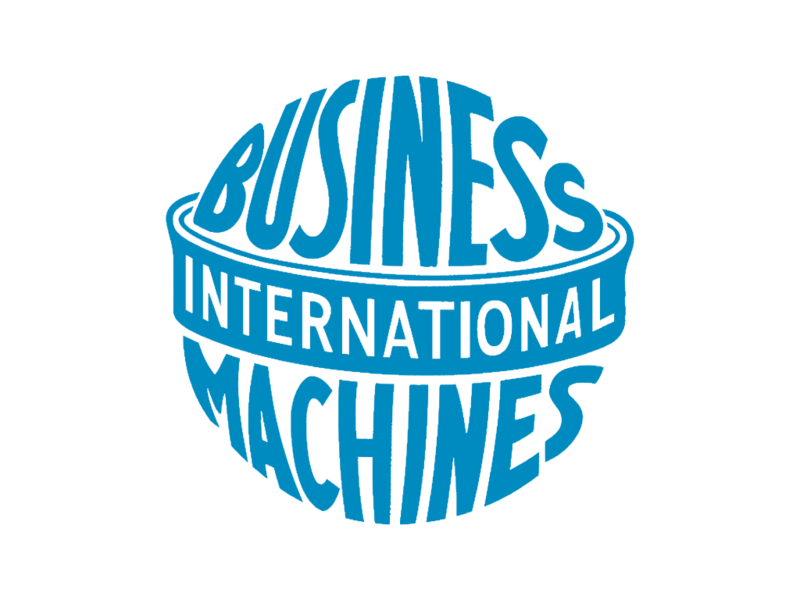 “No company in the computer business inspires the loyalty that IBM does, and the company has accomplished this with its almost legendary customer service and support … As a result, it is not uncommon for customers to refuse to buy equipment not made by IBM, even though it is often cheaper. ‘I don’t want to be saying I should have stuck with the “Big Blue,”’ says one IBM loyalist. ‘The nickname comes from the pervasiveness of IBM’s blue computers’” (No. 1’s Awesome Strategy, BusinessWeek, June 8, 1981). So there you have it. Isn’t that great, kind of mysterious and interesting? Or at least, it’s fun to engage in any of the possible explanations. ©2014 - Inside Finance. If you quote or use ideas, please cite the source.